This is not a BMW that drive your kids to school in. It's not a BMW some wealthy German businessman drives to an important meeting. It's not a BMW you buy to impress the neighbors. At least, not anymore it's not. Maybe it was a long time ago. Now, it's a track weapon. It's a war horse. 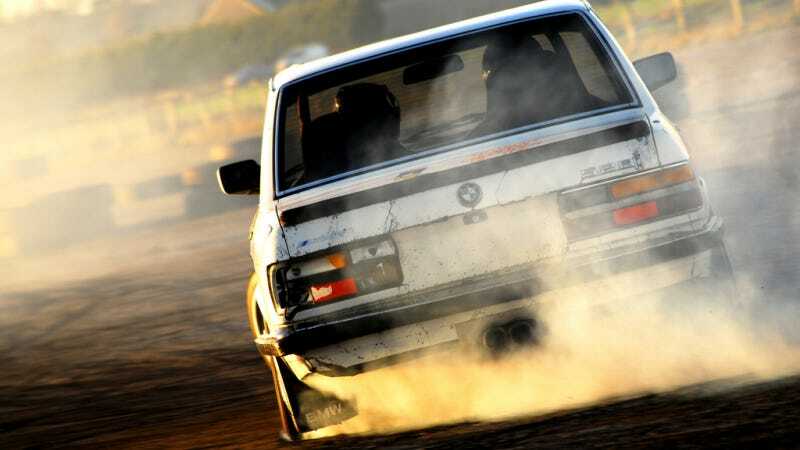 It bears the scars from many battles, but it keeps on doing what it's been built and re-built to do best — get sideways. Consider this post my official salute to old war horses everywhere. Photo credit photographphil. Click here for a super-large desktop version. Weekend Wallpapers are featured on Saturdays. Got one you'd like us to run? Send it to patrick at jalopnik dot com with the subject "Weekend Wallpaper." Just make sure you have the rights to use it.